Item Description: A delicious 7-piece ensemble, Mallenton serves up fresh, contemporary style and value. The modern-Mission chairs, with slim and sleek slat backs, are comfortably cushioned and covered with an easy-care faux leather upholstery. The clean-lined, tapered leg table keeps it simply striking. 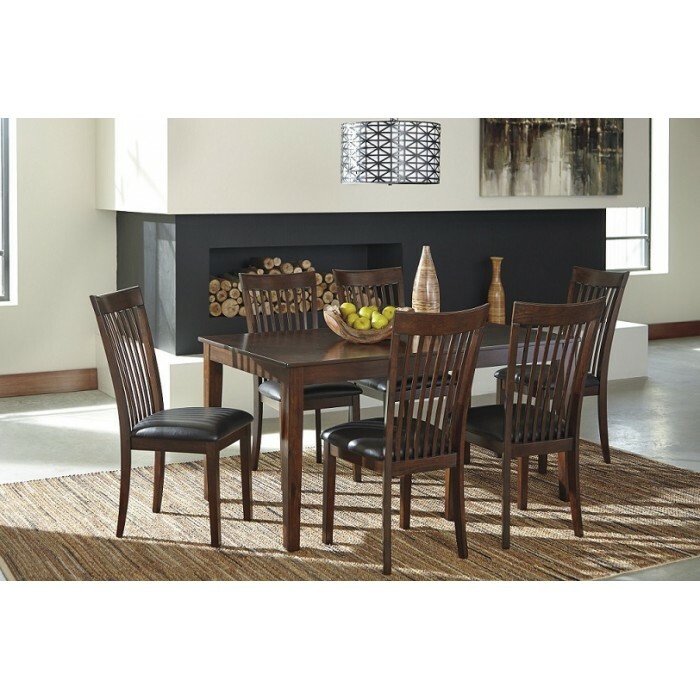 Series Features: Made with Birch veneers and select hardwood solids in a medium brown finish. Seats 6 comfortably. Basic table with four tapered legs. Chairs feature updated mission thin slat-back styling with durable dark brown PU seat.